Welcome to soup season, Amish readers! 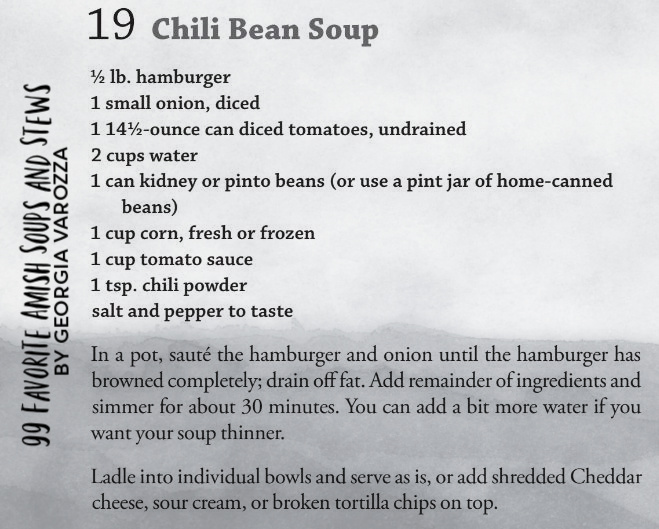 Here’s a recipe you can try this week from 99 Favorite Amish Soups and Stews by Georgia Varozza: Chili Bean Soup. Eager for more? Find the cookbook at your favorite bookseller, such as Amazon, Barnes & Noble, Christianbook, or Harvest House Publishers!